The Multiple Application Platform (MAP-200) Optical Power Meter Module (mOPM-C1) is a second-generation power meter that brings a range of panel mount and remote head configurations to the VIAVI MAP-200 platform. The MAP-200 is the first photonic layer lab and manufacturing platform to be LAN Extensions for Instrumentation (LXI)-compliant, bringing the full power of Ethernet connectivity and ease of use of interchangeable virtual instrument (IVI) drivers to the optical test environment. The MAP-200 platform’s industry-leading density and configurability enables test engineers to meet specific application requirements in the smallest possible footprint. 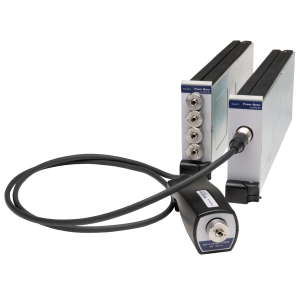 The MAP Optical Power Meter Module extends the optical power measurement capability of the MAP-200 by offering three grades of optical performance available in panel-mount or remote-head configurations with 1, 2, or 4 inputs per module.